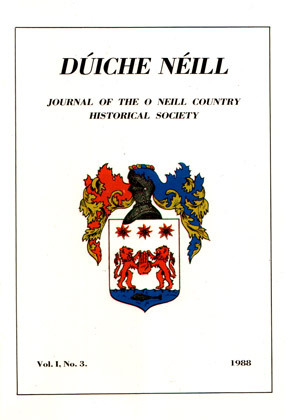 View cart “Dúiche Néill Volume 11” has been added to your cart. 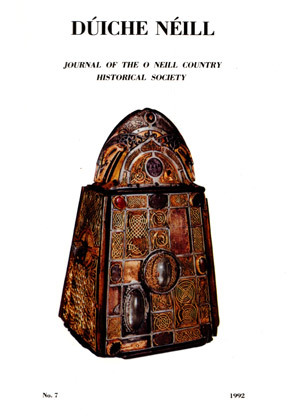 Dungannon Castle: its history, architecture and archaeology. Pre-Plantation Landscape & settlement of Co.Tyrone 1600-1610. Sir Toby Caulfeild, Mountjoy’s captain & 1st Lord Charlemont. The Dungannon Conventions of 1782 to 1783. Opposition to Home Rule in Tyrone 1910-1914. Ard Mhacha-Cathair Sheoirseach nó Dúnfort na nGael. 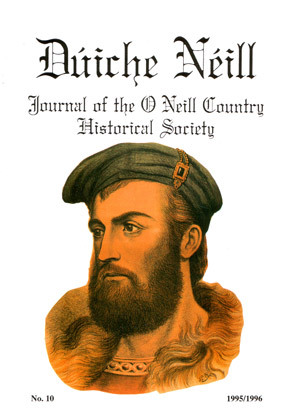 O’NEILL ARTICLES & the SOCIETY’S COMMEMORATIVE TOURS OF THE FLIGHT OF THE EARLS. 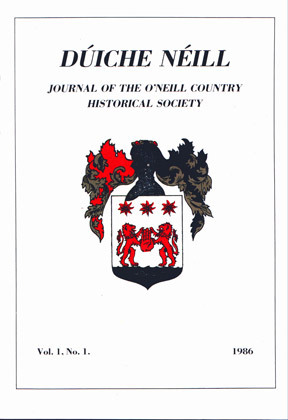 Seán (Juan) Ó Néill & the descendants of the Great Ó Néill. Leabhar Cloinne Aodha Buidhe: Bardic Poetry of the Ó Neills of Clandeboy. The Path of the Ulster Chieftains (France & Belgium). 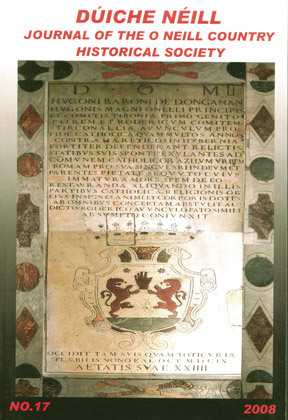 International Commemoration of the Earls in Rome. A Mháirín Óg Ní Cheallaigh: A Tyrone song of Connacht Provenance.